THE SUN IS OUT! Time to drink pretty cocktails in the garden and ignore the groaning pile of laundry that’s taking over the bedroom. Sometimes the prettiest cocktails end up being sickly sweet, but this one is nice and sharp and peppery. 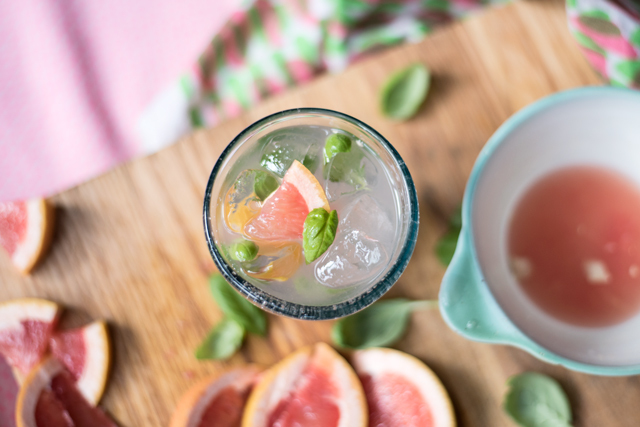 It’s a simple spin on the good old G&T, here’s how you do it. 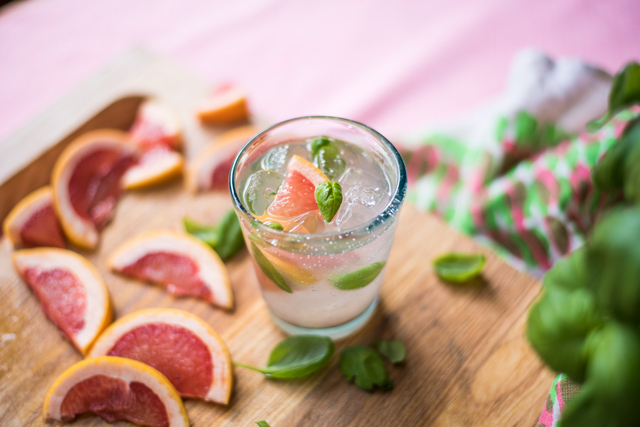 Squeeze your grapefruit, then muddle the grapefruit juice, basil leaves and ice in a cocktail shaker. Add a shot of gin (I used twice as much grapefruit juice as gin). Pour into a glass then top up with tonic. 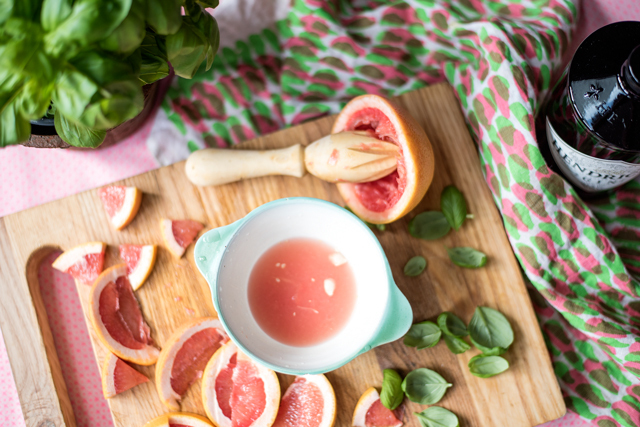 Garnish with a few slices of grapefruit, and congratulate yourself for getting through winter. Spring is officially here.